Development plans could change the character of open spaces and wildlife habitat. For the past 25 years, VHA has focused on issues central to the long term sustainability of Vail as both a resort and a functioning community. Now calls are becoming more pronounced for the formulation of a vision for Vail to guide its development for the next 25 years. Central issues for consideration should be the sustainability of the community and how to best invest resources to maintain the quality of life for both Vail residents and second homeowners. This comes at an opportune time as there is renewed leadership from the Town of Vail. The new Council is addressing many of the issues that have been raised by the Homeowners Association. The Association has provided the Town of Vail with an overview, in our current Annual Report, to assist in facilitating the shaping of the Town Council’s agenda for the next two years and beyond. Given recent public comments by Town officials, VHA is optimistic that our suggestions are being given serious consideration. There are growing indications that reliance solely on tourism as Vail’s economic driver may no longer be sufficient to sustain progressive goals for the community. The how, what and why that community leaders consider when shaping an enduring vision for promotional strategies and the management of environmental and infrastructure assets will determine the sustainability and preeminence of Vail’s economic competitiveness and lifestyle. • Tract E: In 2017, the owners of the Kindel House on Hanson Ranch Road sought permission from Vail Resorts to purchase an adjacent portion of covenant protected Tract E to append it to the Kindel House lot for the purpose of redeveloping the property into a residential lodge. This portion of Tract E is designated as publicly accessible open space to be maintained as native habitat. The remaining portion of the open space to be acquired was to be a gated landscaped garden in which private functions would occur. VHA facilitated communication among its constituencies and adjacent property owners affected by the proposal and raised questions about existing protective covenants and the protection of Tract E as public open space. The Town Council refused to approve the sale of Tract E.
• Golden Peak – Race Course Expansion: A proposal was made by Ski and Snowboard Club Vail to the United States Forest Service that would expand the existing ski runs through 42 acres of heavily wooded aspen forest to the summit of Golden Peak. The proposal would provide for a private training and practice area. It would, also, create the opportunity to increase the venue of racing events held at Golden Peak. VHA raised environmental and logistical impacts with the USFS about public safety issues related to runoff drainage, traffic congestion, access and availability of adequate parking for event attendees and competitors. • Open Lands Plan Reassessment: As part of an open lands reassessment, the TOV initiated a review of undeveloped lands that could be developed as affordable housing. The Donovan Park Middle Bench was brought up as a potential site for workforce housing but was then withdrawn subsequent to neighborhood opposition that in part resulted from an alert conveyed to the neighborhood by VHA. Also raised as potential sites were several areas of USFS boundary lands. The association, also, raised objections to that proposal and it was dropped. The sale of Town or of covenant protected publicly accessible open space to private parties for the purposes of development is not favored VHA because it changes the uses that are central to maintaining the character and functionality of the community and its existing neighborhoods. • Wildlife Habitat Preservation: VHA cooperated with affected neighborhoods to raise awareness of the severity of geologic hazards and existence of highly valued wildlife habitat adjacent to the north side of the East Vail I-70 Interchange on a site proposed by Vail Resorts to be rezoned to a higher development density. A State wildlife authority indicated that development of the site and a proposed expansion of the Town of Vail’s trail system, proposed for inclusion in the Open Lands Plan, would further exacerbate a continuing decline in wildlife habitat within the Gore Valley. The Town of Vail approved the rezoning noting that additional study of the issues raised by the association and the neighborhood would be given consideration once an application for development of affordable housing was received. • Gore Creek Clean-up: The annual fall sampling of Gore Creek water quality for 2016 showed signs of improving conditions in some areas in East Vail. A decline in water quality throughout East Vail was the trigger for the State of Colorado to declare Gore Creek impaired in 2012. Since then, the Town of Vail intensified its clean-up campaign to reduce the use of pesticides and fertilizers, including the effort to restore native vegetation along waterways. 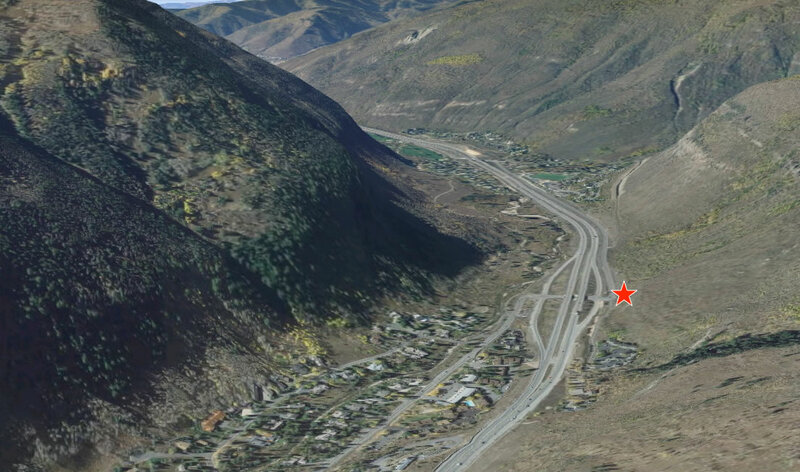 The Town of Vail, working with the Colorado Department of Transportation (CDOT), is moving forward with a highway runoff treatment project at the East Vail interchange scheduled for 2018. However, analysis shows that the water quality problem is migrating westward, particularly, in areas with intensive urbanization. VHA sees the clean-up of Gore Creek as a prime sustainability factor in shaping the magnitude of additional urbanization being considered by the Town of Vail. VHA is supportive of the action taken to date by the Town of Vail and urges property owners to join in the restoration effort. We trust that the Vail Homeowners Association engages with the issues you believe are important to sustaining the value of your investment in the Vail community. If not, please let us know. We speak up and speak out when we see the need to inform and motivate constructive actions. Our efforts are aimed to assist the community in taking advantage of the opportunities and challenges needing to be addressed. We see a greater willingness for the community to join together to face unforeseen and long standing challenges. On behalf of the VHA Board of Directors, we would like to urge you to support the efforts of the Vail Homeowners Association. Thank you for the support you have given us, and we look forward to continuing our mutually supportive relationship to make Vail the very best that it can be.